Here are tips for anyone who is thinking about studying abroad in Australia, organising travel to Australia, or in the country already. 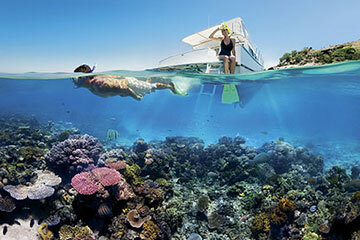 The tips use the experiences of the Uni Reviews team of Australian travel, living and study. Can I Study in Australia? 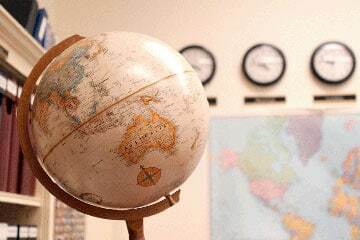 Australia can be an expensive place for study abroad (depending on where you study and who with). It's more fun if you don't have to constantly worry about money. 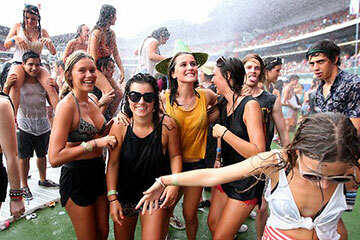 As a general rule, you can afford to study in Australia if you have enough funds to cover double the cost of tuition. Tuition fees are one of the main costs for international students. Tuition fees are normally higher for universities in the big cities, where living costs are higher as well. Our advice is to check out this list of tuition fees for international students to see if you can afford to travel to Australia. It should also be remembered that you might be able to get a part-time job (on high Australia pay rates). 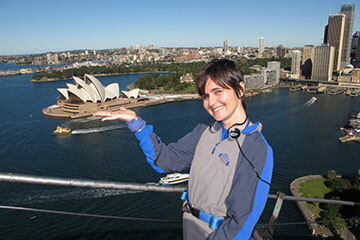 Organising study in Australia is smoother if you can come at a good time of year. The academic year begins with Semester 1 in late February. Including exams, the semester/term finishes in late June. Semester 2 starts around the beginning of August and ends in November. There is an optional 3rd semester over the late spring / summer months (starting in November or December). Most students use this time for holidays or casual work. Few universities have most courses operating over the summer. 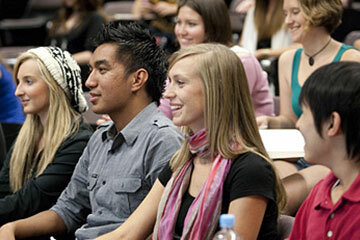 Follow this link for more information about the Australian university system. 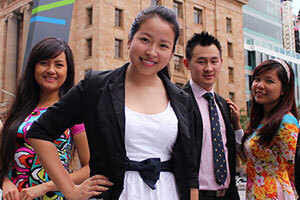 There is a streamlined, do-it-yourself system for getting approved to study in Australia. It is easier than for most other study destinations. To study in Australia, obviously you need a passport. 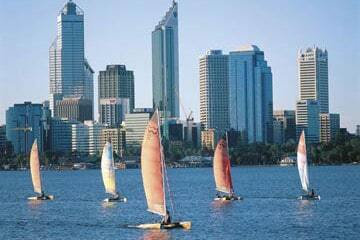 You also need an Australian student visa that allows entry into the country and sets out the conditions of your stay. You can apply for a student visa online after being accepted into an Australian university or other education institution. Australian Immigration requires the same kind of documents as universities, such as academic transcripts. A study abroad trip is about much more than studying. To have a great experience, choose a place and university that matches your preferences. 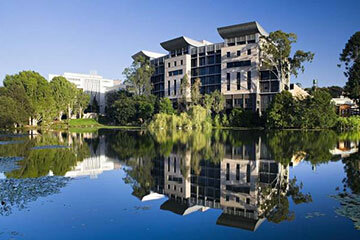 Many of Australia's universities are located close to the centre of a large city. They tend to be older, more prestigious universities with high tuition fees. Cheaper options are to attend a suburb or regional university (or a satellite campus of a city university). These may be better if you want a more relaxed experience. find something after you arrive. Universities have different accommodation policies but most guarantee a place for international students (usually by assigning students a room in shared university housing). Booking a room before you leave for Australia gives you peace of mind that you have somewhere to live. 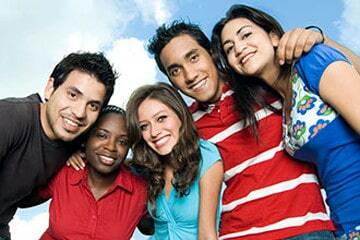 It also increases the chances of living with other international students. 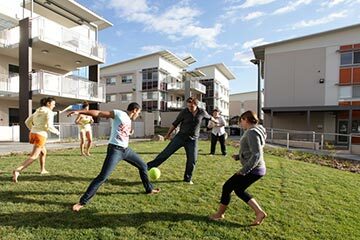 By paying slightly more, you can live in a residential college and quickly become part of a large social group. The alternate approach (which is cheaper for a long stay) is to find something after you arrive. You can book temporary accommodation in advance. It pays to arrive at least 2-3 weeks before classes start when there are plenty of rooms available. Try to limit your luggage to a carry-on bag plus a suitcase weighing 15 kg or less. This allows you to comfortably beat luggage limits for both international and domestic flights. It also means you can bring back some stuff from your trip (souvenirs and anything else you bought while away). While there is no universal standard, a typical luggage allowance for an international flight is a carry-on bag (no longer than 55 cm) and two hold baggage items (less than 23 kg). For a domestic flight, it is a carry-on bag and one hold baggage item (less than 20 kg). Packing lightly makes travel easier and reduces risks of things being broken or lost. You can also buy anything you need after you've arrived and assessed the situation. For a checklist of what to take to uni (essential items), see Good Universities. If you haven't pre-booked accommodation, the first thing to do after arriving is find a place to live. There's a few different options to explore. To get a room near where you're studying, the university is where your search starts. Either online or in-person, you can see what the university accommodation office has to offer and check university notice boards. You can also check out general ads on sites such as Gumtree or RealEstate. When responding to an ad for a room or property, you should phone or email the advertiser and arrange a time to see the room/property. Advertisers might talk to several people. So, you'll need to let them know if you're interested and probably have to wait for them to get back to you with a decision. You'll find studying easier if you adapt to the Australian style. Students are assessed mainly on exam performance. The content of the exams can also be unpredictable. It is a style that tests your ability to work independently and think through problems. In some education cultures, the teacher is considered an expert whose job it is to transfer knowledge to the student. In Australia, the teacher is considered more of an advanced colleague who gives advice but not definitive answers. It is not the responsibility of instructors to ensure a student passes. You need to develop your own understanding of the subject and prepare yourself for exams. You’ve probably travelled a long way to study in Australia, so take advantage of it. International study experience is important but cultural experiences are part of studying abroad too. It helps to be open to learning about other cultures. If something is different to how it is back home, it’s not wrong – just different. The locals will like you more (and you'll have more fun) if you embrace Australian ways of doing things. Who you hang out with is important. 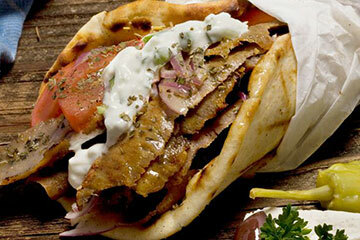 Travelling with friends or joining groups of compatriots is the easy path. But it is more enriching to mix widely. Remember: everyone wants to make friends at university. It is an opportunity to get to know people from different cultures.